Twins Joshua and Matthew Aquilina with sponsors Daniel, left, and his dad Salv. 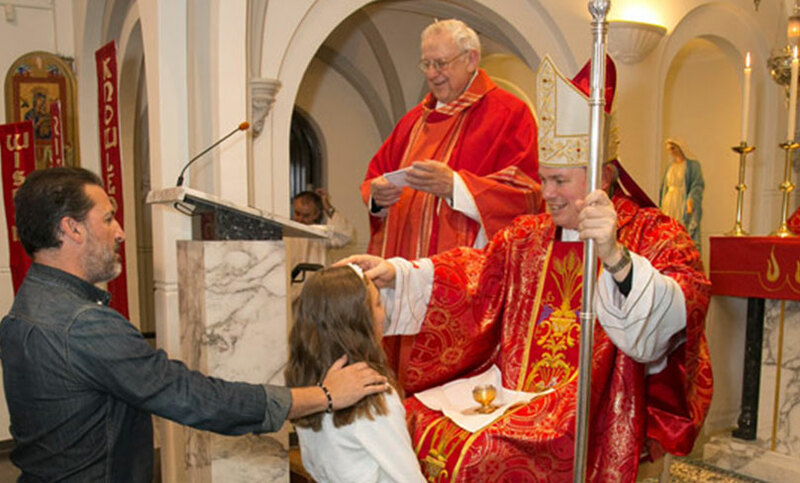 With confirmation season just around the corner, more than 6000 primary school children from across the Sydney Archdiocese have begun preparations for the Sacrament. And while much thought goes into selecting a Saint to keep with them as they travel through life, a sponsor is an equally important part of a child’s spiritual growth. Long after the sponsor has placed their hand upon the child’s shoulder and enjoyed celebrating the milestone, he or she will remain a powerful influence on their faith. So how do you select a sponsor? 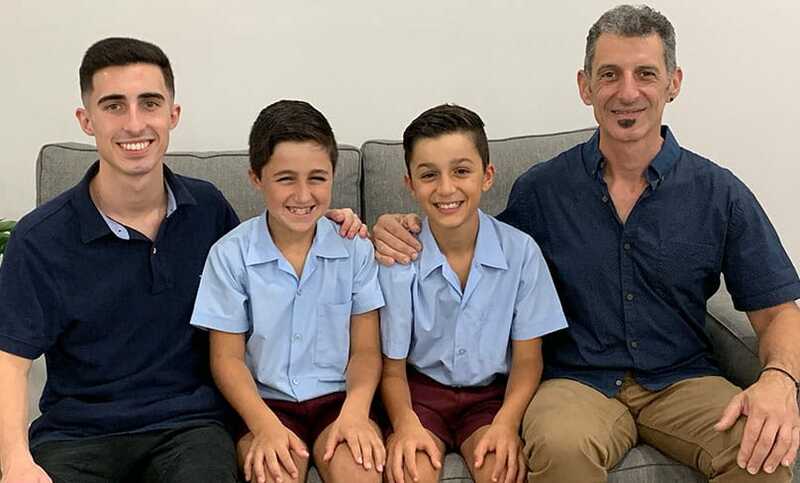 Twins Joshua and Matthew Aquilina admit they both put a lot of thought into who they would like to fulfill the role and were equally thrilled when their uncle Daniel and his dad Salv accepted. The Year 6 twins from Holy Family Primary School in Menai said they hoped to develop an even stronger bond with their sponsors while at the same time their sponsors agreed it had given them the opportunity to re-examine their own faith. “Confirmation is a very important Sacrament for us both and we spent a lot of time deciding who we wanted to be there with us,” Joshua said. “Daniel is my uncle and someone I very much look up to and know will take the role seriously. So how do you select a sponsor and what should you expect from them? Fr Daniel Russo from Menai Parish has some ideas. 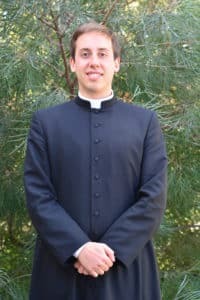 “The Church asks that, wherever possible, a sponsor is chosen to “take care that the confirmed person behaves as a true witness of Christ and faithfully fullfils the obligations in this sacrament.” (Code of Canon Law, c.892) The role of a sponsor is taken very seriously in the mind of the Church. If it takes a village to raise a child who is a citizen of earth, then it takes a spiritual village to raise a child-of-God who is a citizen of heaven. A sponsor is a key member of this spiritual village and so it’s crucial to choose a person who is up to the task! The sacrament of confirmation confirms our identity as children of God first received in baptism. When the baptismal candle is lit in the Rite of Baptism, the celebrant addresses the godparent/s saying, “May he (she) keep the flame of faith alive in his (her) heart. 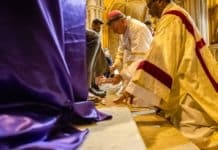 When the Lord comes, may he (she) go out to meet him with all the saints in the heavenly kingdom.” Confirmation sees the child continue along the same trajectory set at baptism. In our parish this year, confirmation candidates will make prayer cards for their sponsors. On their confirmation day, newly confirmed children will give these cards to their sponsors and ask them to pray for them daily through the intercession of their chosen confirmation saint. Sponsors are, first and foremost, called to provide spiritual support. When approaching someone to act as a confirmation sponsor make sure to speak to them about the ongoing spiritual responsibility that is involved.